WASHINGTON, Nov 5 2012 (IPS) - Human rights workers and Tibet-focused activists are hailing a strongly worded statement by the United Nations’ top official on human rights, drawing attention to growing public discontent in Tibet just ahead of a major leadership shuffle that will reverberate throughout the Communist Party of China. The statement, released Friday, was the first time that the United Nations High Commissioner for Human Rights had publicly commented on the situation in Tibet, despite years of lobbying by activist support groups. She also urged Beijing to allow independent monitors into Tibet, while noting that a dozen requests for invitations for U.N. special rapporteurs still await Chinese government action. “The U.N. matters to China, and this is an important opportunity for China to be called out in a public forum,” Mary Beth Markey, president of the International Campaign for Tibet (ICT), based in Washington, told IPS. Pillay’s statement also received immediate plaudits from the Tibetan government-in-exile in northern India. The head of the government-in-exile, Lobsang Sangay, noted that his government was “encouraged by the powerful statement”. But he also called on the U.N. Human Rights Council (UNHRC) to convene a special session on Tibet, “in view of the desperate and unprecedented spate of self-immolations by Tibetans due to China’s repressive policies and the continued intransigence of the Chinese leadership to the relentless efforts of UNHRC”. Pillay’s statement came as a trend of self-immolations has grown in recent weeks, signifying strengthening public frustration with the rigidity of Chinese rule on the Tibetan plateau. On Sunday, a young Tibetan farmer became the sixty-third Tibetan since 2009 to set himself on fire in protest, according to ICT. The government-in-exile puts the number even higher. In her statement, Pillay specifically referenced the extremity inherent to self-immolation as a form of protest. Having risen to a rate of seven a week by late October, the self-immolations appear to have severely embarrassed the Beijing government, which has reportedly stepped up the security presence in Tibetan-strong areas. On Monday, the Chinese government strongly criticised Pillay’s statement. Foreign Ministry spokesperson Hong Lei turned the blame on followers of the Dalai Lama, the Tibetan spiritual leader living in northern India, blaming them for “ugly and evil acts intended to achieve the separatist goal of Tibetan independence”. The same day, while travelling in Japan, the Dalai Lama noted his optimism that the once-a-decade changes in Chinese leadership, set to be announced on Thursday, would lead to political reform. The aging monk, who formally gave up his political role in 2011 and has for decades refuted Tibetan aspirations for independence from China, has repeatedly rejected self-immolation, along with other forms of violence, as a method of protest. Yet the polite refusal on the part of dozens of Tibetans to heed the Dalai Lama’s diktat on self-immolation suggests that “these are clearly political acts of standing up to the oppressor”, ICT’s Markey said. “While much of Tibetan society remains rooted in Tibetan Buddhist philosophy, these are very clearly not acts of retreating to pray in the monasteries,” she continued. This new process, which can be traced back to the unprecedented public demonstrations that swept the Tibetan plateau in mid-2008, in the run-up to the Beijing Olympic Games, goes well beyond self-immolation, which has unfortunately become its strongest statement. Increasingly, however, a discussion is taking place within Tibet on how to be Tibetan – and to assert their ethnic identity – within the People’s Republic of China. The result has been a greater consciousness on the part of Tibetans to emphasise their language rights, wear Tibetan clothing or patronise Tibetan shops. For the most part, however, Western governments, including here in Washington, have been slow to respond with any greater urgency to the strengthened calls for reform from the Tibetan public. “We have consistently expressed our concern about the violence in the Tibetan areas, about the continuing pattern of self-immolations, heightened tensions, and Tibet in general,” U.S. State Department spokesperson Victoria Nuland said in late October. 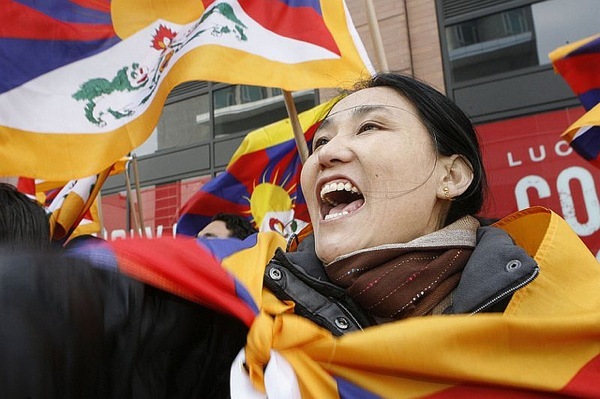 But even as nonstop media coverage of the U.S. presidential election has continued for months leading up to Tuesday’s polls, the two presidential contenders have had very little to say about international human rights generally, much less on Tibet. Indeed, while China has been referenced repeatedly in the campaigns, it has only been used to talk about trade, labour or protectionism. Committing suicide or goading others to do so violates Buddhist tenets of mercy and compassion. These self-immolators were due to others’ incitement, instigation and coercion, according to the Buddhist master, who advised followers to “discern good and evil.” Paradoxically, no God wants people hurt themselves, just devil does. Dalai Clique fooled the innocent youngsters to sacrifice them, he himself must be abandoned by angry principles one day.